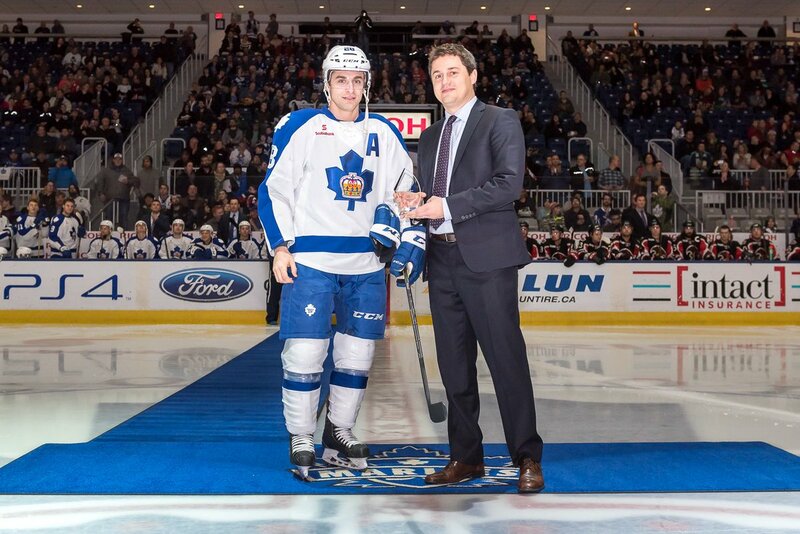 The numbers add up to something very impressive for the Toronto Marlies. 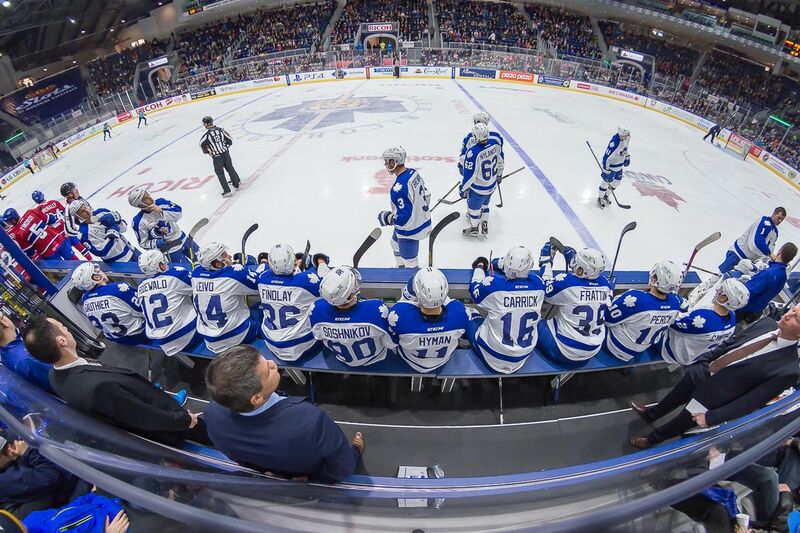 Entering their Wednesday-night home game against Syracuse — which also happens to be the mid-point of their season — the Marlies (31-8-2) are first overall by a wide margin in the American Hockey League, with 64 points in 41 games. Wilkes-Barre/Scranton Penguins (28-9-1) is seven points back. 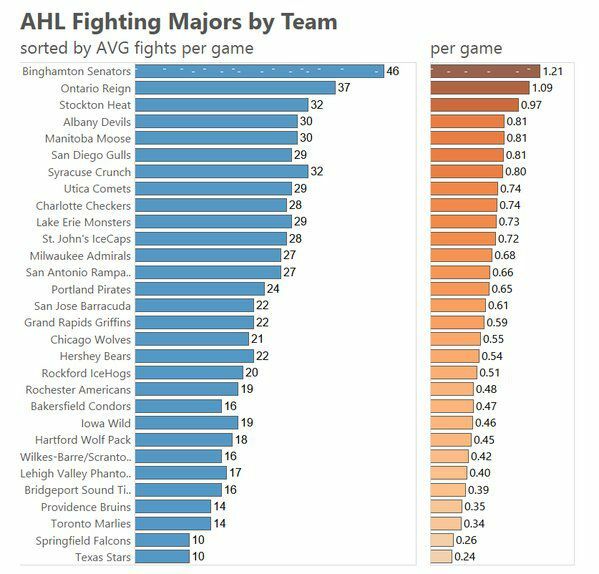 The Marlies own the league’s best goals-per-game average (3.85) and fifth-best goals-against average (2.44). They have a strong candidate for the mid-season MVP in defenceman T.J. Brennan, as well as rookie coach Sheldon Keefe being acknowledged as an early candidate for coach of the year. Five of the players rank in the top 20 in plus-minus while five are in the top 35 in scoring. And Toronto has accomplished this despite injuries and callups over the past month to some of its best players. T.J. Brennan was perched as the league’s leading scorer over the weekend, but has since dropped to second overall. The NHL.com, and other critics, mentioned him as a strong candidate for the first-half MVP. With one of the best shots in the AHL, he anchors the power play and is recognized as one of the league’s best puck movers. Sheldon Keefe insists the team’s success is based on talent, work ethic, leadership, and other details; but he’s turned heads in his rookie season in the AHL by bringing a talented group, led by a veteran defence, together for the league’s current best record. His roster has recently been struck with callups, and injuries to his top two goalies, penalty-killing forward Sam Carrick and key defencemen Stuart Percy and Justin Holl. That’s forced the team to call upon four players from Orlando in the ECHL and sign two AHL veterans to PTO contracts this week. Expectations, though, remain very high. William Nylander was well out in front of AHL scoring at Christmas, before he suffered a devastating injury on a hit to the head during the opening game of the world junior championships for his native Sweden, Dec. 26. Nylander also had a shot at history — a chance to become the first 19-year-old in league history to reach 100 points; he has since dropped to sixth in league scoring, but recently returned to skating. Toronto has weathered his absence, along with that of Connor Brown, the AHL’s top rookie scorer a year ago, who has been injured (foot) since November. Andrew Campbell flies under the radar as one of the top leaders in the AHL. Coaches and teammates say the captain set the tone for work ethic way back in the summer, when most of the roster and the coaching staff was set, and adopted a belief that they could be the best team in the league. Campbell leads the league with a plus-26 (rookies Rinat Valiev, Zach Hyman, Holl and Nikita Soshnikov join him in the top 20). He’s also the driving force behind a league-leading penalty kill. That penalty kill owns a top rating on the road and fourth overall in the league. Frederik Gauthier has teamed with Campbell, Percy, Carrick, Brennan, Hyman and others, to form a reliable PK unit, directed by Gord Dineen, who coached last year’s team and has returned this year as an assistant. Gauthier’s specialty on the penalty kill also reflects a dedication to two-way hockey useful at the NHL level with the Leafs under coach Mike Babcock.